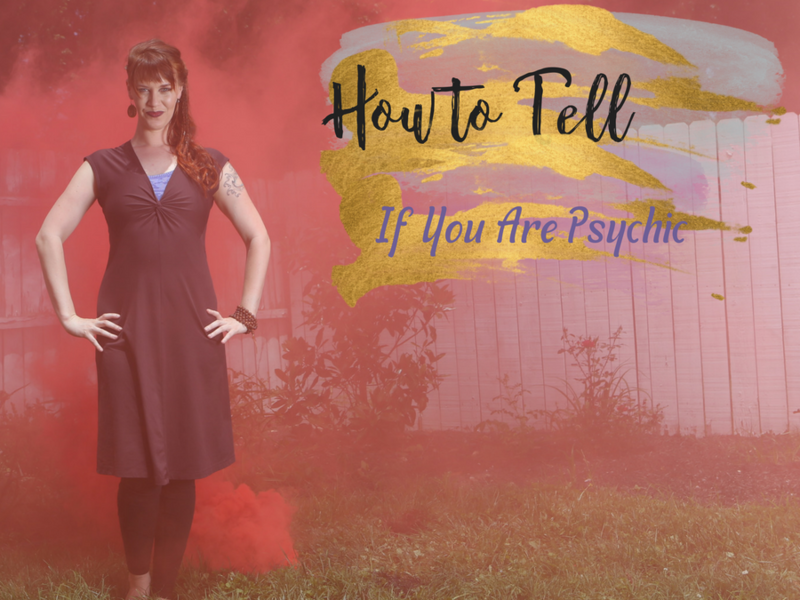 How to Tell if You are Psychic. When I was a little kid, I would go into my basement, and would spend hours meditating. I didn’t realize it was meditating. I would just make up stories in my head, and would go to these really far off lands in my imagination. Sometimes there were aliens. Unicorns and dragons became my friends. I thought this was make believe and not real for years, until my ability to see and feel energy demanded my attention. Then, I learned it was all real! I was doing shamanic traveling. When I was a kid, I was practicing advanced psychic exercises because I hadn’t been told it was wrong or I shouldn’t do that. As a kid, there was no difference between what was real and what wasn’t real. I was born psychic and so were you. Its a part of our consciousness and being. The #1 thing I hear from my clients is that they don’t think they are psychic. The reality is, You are Psychic! This has evidence in scientific study. String theory is a scientific theory, that goes into the deepest parts of reality. Basically saying that all matters made up with these little strings, vibrating in these various areas and all matter is derived from this. Part of string theory is also that the universe is made up of light and information. It’s essentially a hologram vibrating with various frequencies of light and information. It’s just how that goes. We are these strings and we are all this light and information. We have access to all of this! In some ways we may have trouble accessing that is it could be the way that our bodies are set up. If we believe that we aren’t good enough, then we can make a reality where we aren’t good enough. If we can move and become good enough in our own minds and our own energy systems, then we can move into a place where we are good enough. Dragons and Unicorns can be real and helpful if you believe those far off lands and relationships can exist. You can ask for anything you want, but sometimes there might be things that need to be cleaned up in order to do this. Sometimes we stop what we are creating because of stories and beliefs that are stored inside of our bodies. Sometimes the stuff we were told as children does block us from our clairvoyance and our inner knowing. The key to remembering to access this part of ourselves is through our 2nd Charka. This is a place of childlike curiosity and wonder. It is a part of ourselves that is open. 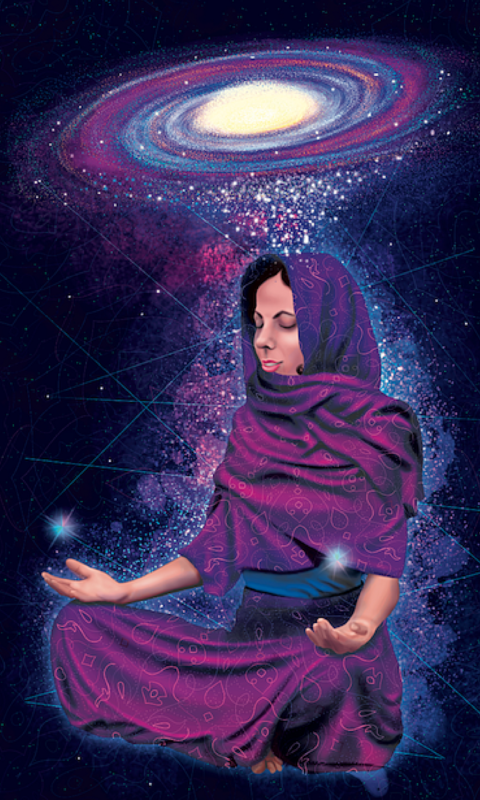 The 2nd Chakra is also a hub of manifestation energies. You can change your reality to reflect that childlike wonder and curiosity here. This is how people can use their intuition to see what is coming their way and other ways that you can shift reality as well. There is a scientist back in the 1930s. His name was Royal Rife and he invented a microscope that would use light to change matter. He could take a bacteria that caused disease, and he could turn it into a non disease causing bacteria. He could turn it into a virus. He could turn it into a benign virus. He could do all these various things. Basically that is one way you can use intention, your intuition, and your body to change the frequency and the vibration of light and information around you. Along with our connection to unity, also known as the zero point energy field. This giant pulsing well of energy, and you have access to an infinite amount to essentially change the reality around you. Your desires, your dreams, your goals can become a reality when you remember your connection to this. I would like a child. I would like my relationship to be more balanced, etc. Ideally, that’s what a lot of the law of attraction, law of abundance, all that kind of stuff is based off of. A set up subtle energetic body looks, this is one model of it. This is the seven chakra systems, which is a very, very popular system, it’s basically the seven tornados of energy going up here. I teach something called a 12 chakra system, but we will go into that later. And you have energy coming from the cosmos, down through your head, through your chakra system here. You also have energy coming from the earth, coming up here and around you. Basically, when this system is healthy, your body, your mind, your spirit, all that stuff is aligned, manifestation is a lot easier, you tend to manifest the things you want. The more you dive into your 2nd Chakra, the more you body’s innate intelligence comes online and does it for you. This is another example of subtle energetic anatomy flowing through our bodies. We’re really gonna be concentrating on this part today. 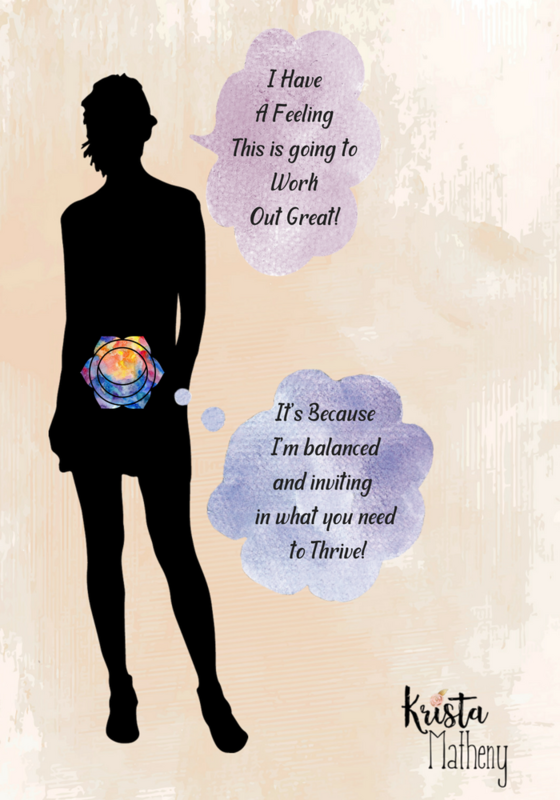 The second chakra, which is a huge seat of intuition as kind of like where your “gut space” lives. This chakra in particular deals with your inner child. It deals with your sense of creativity and a sense of knowing what is for you. What do you want to manifest? Lay on the floor on your back and put your hands on your 2nd Charka. Its located at your belly button! Compress your rib cage and feel your belly moving out with your inbreathe and in with your out breath. This moves oxygen and energy into your 2nd chakra. Once your gained a breath awareness of the space, tune into your sacrum (that flat bone on the back of your pelvis and feel it sinking into the earth. Imagine a cord dropping and connecting into the earth and feel that awareness there. Slowly start rocking your pelvis forward and backward! Connect the 2nd Charka to the Heart Chakra- 3 Minutes. Still breathing and still rocking, place one hand on your belly button (your 2nd Chakra) and the other on Heart Chakra on your chest bone! These two Chakras work together to guide you on your path as well as giving you the inspiration to manifest what you need along the way. Feel the energy moving up from your 2nd Chakra to your Heart Chakra and down from your Heart Chakra to your 2nd Chakra.